Bush Leaves are from a native bush that grows in the Utopia area in Central Australia. The leaves are collected by the Anmatyerre women, cooked over a fire and eaten. The leaves are sweet tasting. 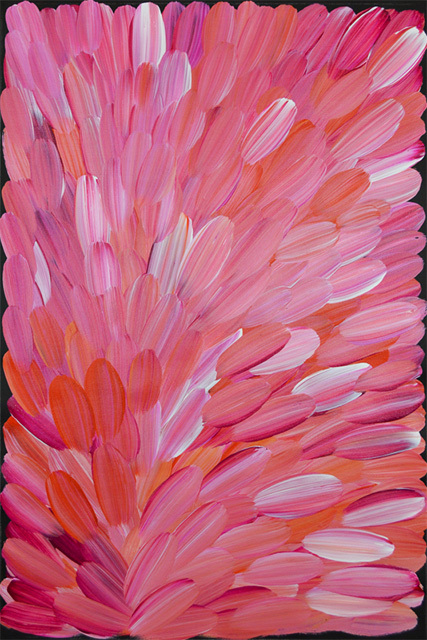 Gloria Petyarre was the first indigenous artist to have won the Wynne Prize, awarded in 1999.